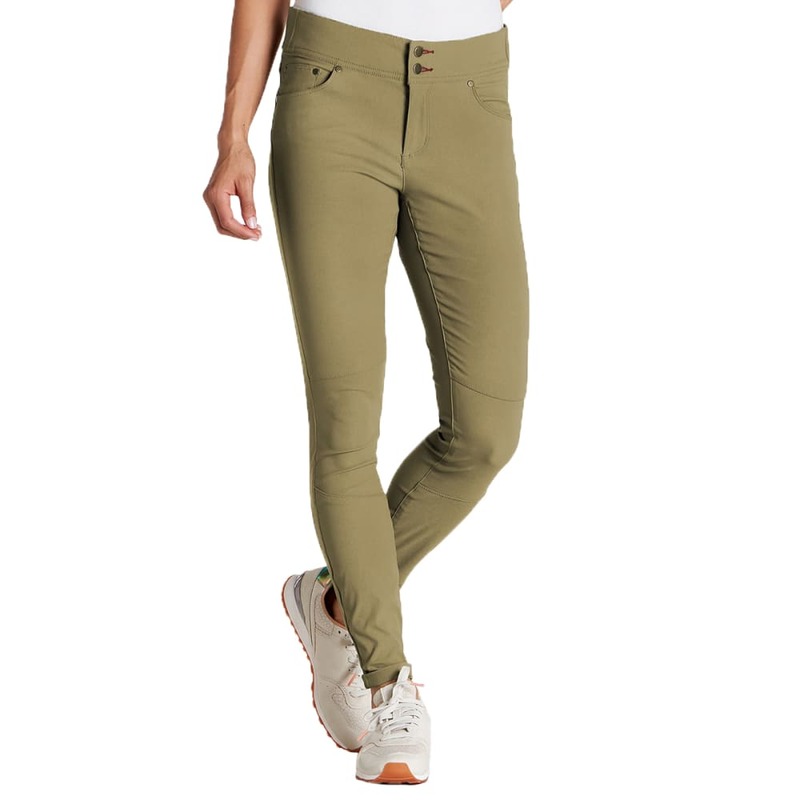 The ultimate go-anywhere, do-anything pant. 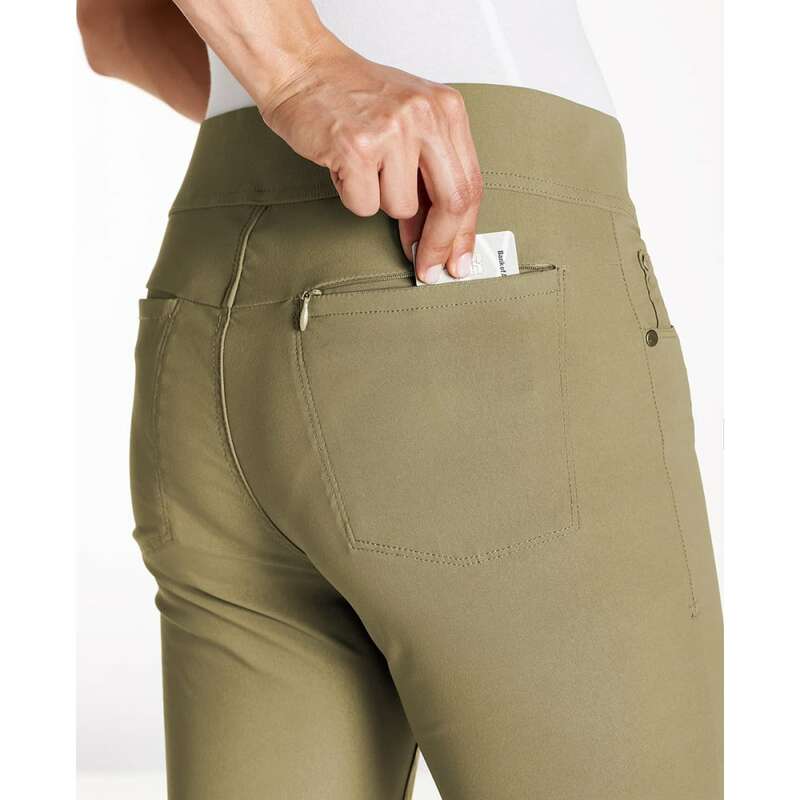 Perfectly stretchy but never baggy, the Flextime Skinny Pant hugs curves and moves with you. 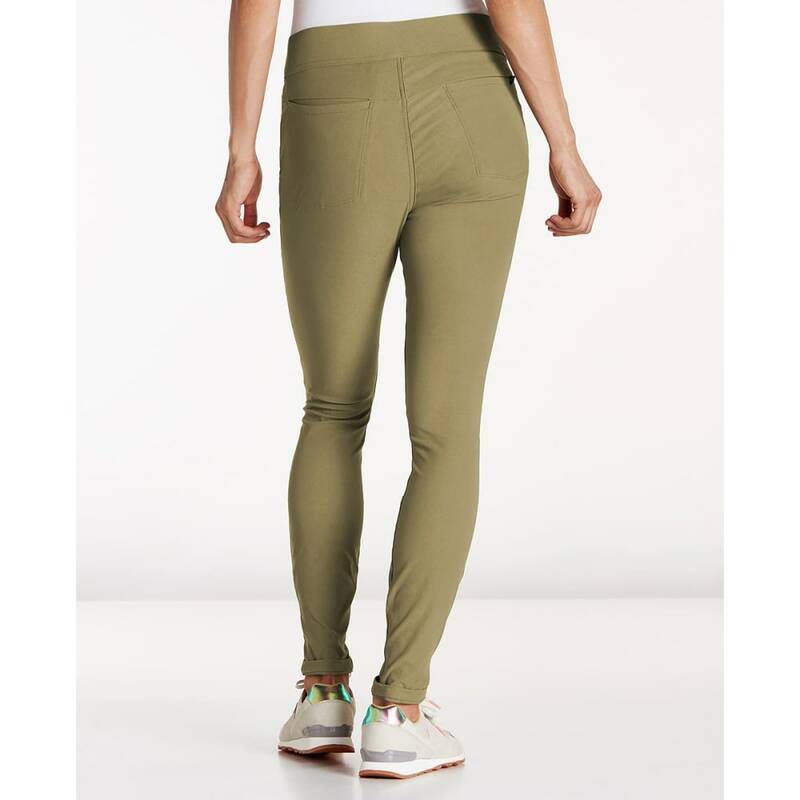 A super flattering, comfortable fit with an elastic waistband. Switchback Stretch: Switchback rebounds out of your bag and offers unrestricted movement. A structured stretch woven nylon and spandex blend is nice and durable, and a smooth face and textured back feel nice against your skin. The DWR finish sheds moisture, dries quickly, and even helps resist stains.